Darla crawled into my bed just after I had turned off the alarm from my phone. 2 hours later she woke me with "I peed on your bed. Mommy, it was an accident.". 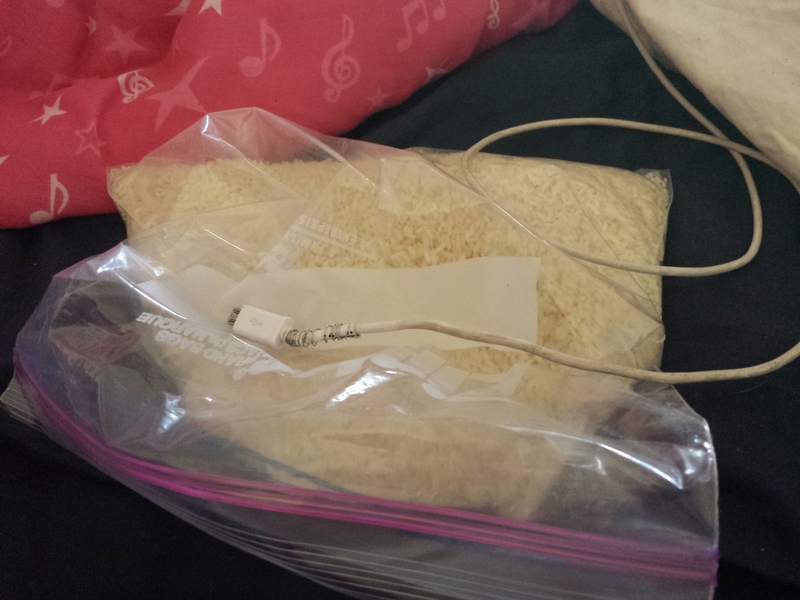 1 bag of rice and 4 hours later: it works! Also, I’ve been needing a reason to share a picture of the "life hack" I tried with the coil from an ink pen to save my charging wire.